This SWN Club is for those quilters who would like to join the monthly meetings at the shop. Your patterns, kits and special projects will not be mailed. They must be picked up at the shop. 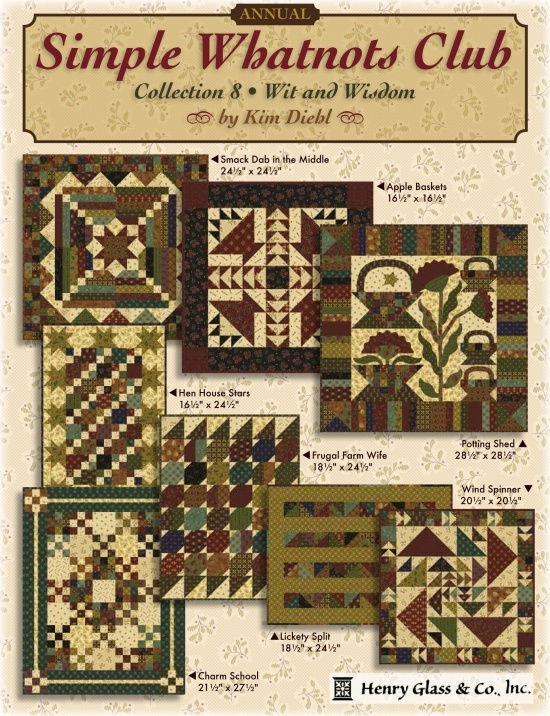 The Simple Whatnots Club continues with collection 8 and new patterns from Kim Diehl featuring her "Wit & Wisdom" fabric collection. 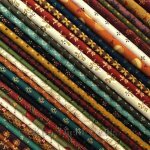 Club 8 will feature Eight charming little projects from Kim Diehl. Most of the projects will be patchwork with a few projects offering appliqué. In addition, there will be an extra project from Kim and some Nickel Nonsense projects. Since December is a busy month with the holidays, there will be no meeting, but we will send you a digital pattern for a holiday table runner, with the option to purchase a kit. The Club will meet the 2nd Friday and 2nd Saturday of each month - you choose the day that works best for you each month! Please understand that there may be some exceptions to the meeting dates due to Shows/Vending. We will have a list of dates for you when you sign up. WashTub Quilts will open 1 hour prior for club members to shop with a 10% discount. Pick up project handouts and discuss.